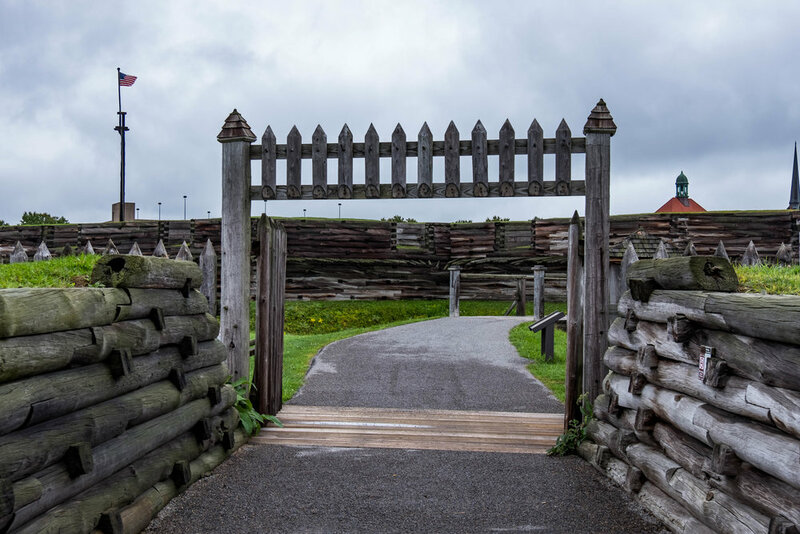 This is a reconstructed fort (1976) on an urban area that was leveled to create a space on the original site for the re-built fort. As such it is rather difficult to get great photos here. The modern city rises up over the walls, the walls are very low and the fort built lower than the surrounding ground and, on our trip, half of the fort was being rebuilt again so lots of construction and yellow tape. This place played a role in the Revolution holding off a siege but never seriously engaged it provided protection for troops supplies moving in the Mohawk Valley. Nice ranger tour here with a well-informed guide. New park eleven on the journey.